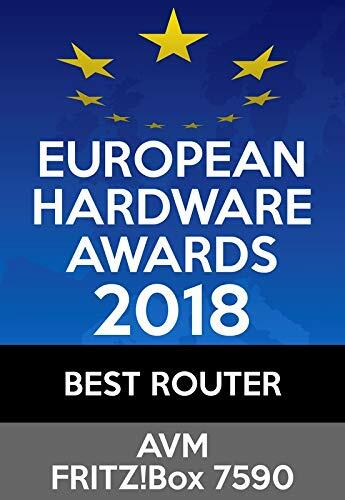 EXPENSIVE BUT ALSO THE MOST FEATURE-PACKED AND TELEPHONE-FRIENDLY HOME/SMB ROUTER ON THE MARKET. 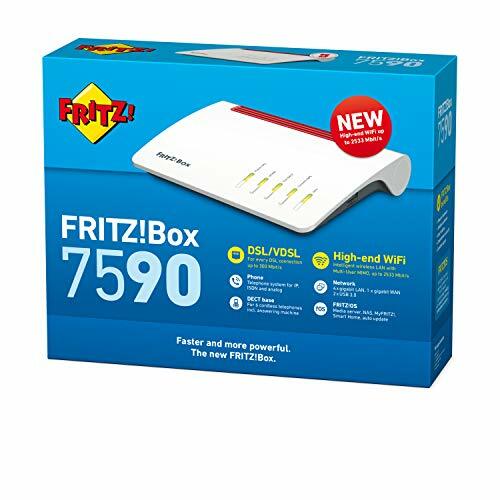 AT A TIME when wireless routers resemble objets d’art and are set up via apps, we became nervous when the Fritz! Box showed up: old-school-looking routers like this could be difficult to get going and operate reliably. However, Fritz! 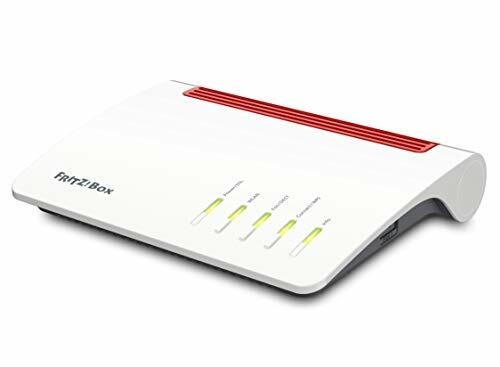 Box has attracted a sizeable online community of power users to whom one touch router set-up is an anathema. So what makes them special? Not the looks. The vibrant colour splash and curvy sides are lipstick on a pig now that were used to rivals’ living-room friendly spaceships and sci-fi prop-like designs. Rotating it gives some clues: there’s both the usual WAN port and four Gigabit Ethernet sockets plus a vDSL socket, two analog phone sockets plus an ISDN port. That’s in addition to two USB 3.0 ports which support printers, storage and 4G dongles. 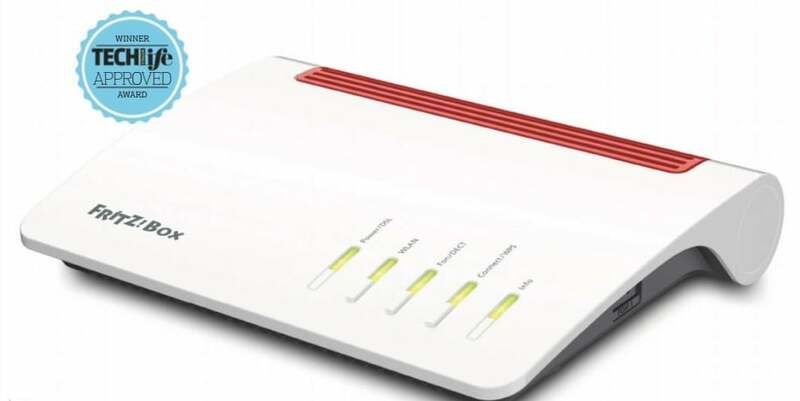 The vDSL port is compatible with supervectoring speeds of up to 300Mb/s. While this isn’t available in Australia yet, the nature of our country’s calamitous NBN network means that it could be useful in future years. It can act as a base station for up to six DECT telephones too. Buttons on the front control Wi-Fi (on-off) plus WPS W-Fi connect plus Fon/DECT device connections. The latter can be used to connect other Fritz! Smart devices. This is just the hardware. 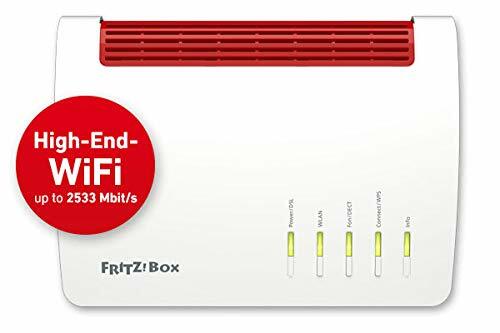 Setting up is actually very simple: just go to fritz.box and enter the details that are stuck to the router’s base. 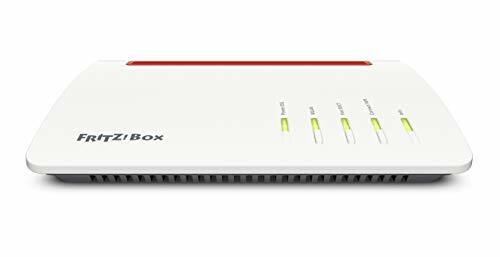 This gives you access to a Linux-based operating system that resembles traditional router layouts, only with far more features. You can even access it via mobile app. One feature is Fritz!NAS which is a far better laid-out and responsive application than seen on competitors. Another is the answerphone which can email you with missed calls. There are plenty of phone-routing options too, with the ability to block and divert numbers. We’re impressed with the intuitive navigation: there are plenty of overview pages where you can easily see exactly what’s happening on your network and navigating through pages is quick and responsive. 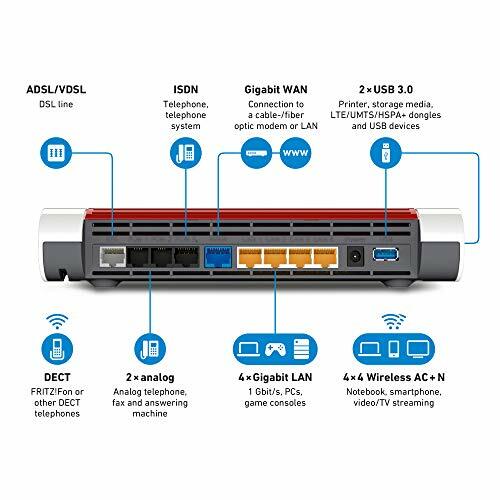 All manner of filters, monitors and device management are available along with everything you’d expect from a fully-spec’d home/SMB router. There’s also a well-featured media server which can handle internet podcasts and web radio. In terms of performance, it offers eight internal antennae plus 802.1lac MU-MIMO technology. We tested its Wi-Fi range using Speedtest.net on a 115/5Mbps Telstra cable connection and an iPad Pro. Up close it maxed out easily. One floor up it dropped to 26Mbps download which is weaker performance than we’ve become used to from large, spikey, rival flagships. Another floor up and it managed 10Mb/s download but failed the upload test when it lost the connection. So, performance is more last-generation than competitors, but at least this can be fixed with the addition of a mesh system or extender.